If the Department of Labor’s default judgment for $2.6M stands, the largest sober living facility in the Bay Area may end up closing its doors forever. Which is more important, the legal process or what is Fair and Just? TLC Residential, a for-profit sober living home in San Francisco, is being sued by the Department of Labor (US District Court Northern District of California Acosta v. TLC Residential No. C 15-02776 WHA). TLC operates following the peer-to-peer addiction recovery model for sober living. TLC Residential CEO, Frank Montero explains, "Using a person from the household as a House Parent is essential because he or she has the unique position of understanding residents in recovery having experienced it themselves first-hand. This deep level of understanding establishes a strong connection and trust between the House Parent and resident that likely wouldn’t be replicated if the House Parent were a paid employee. They are a role model for others and an example of successful drug abuse rehabilitation." Mr. Montero added, "volunteering to be a House Parent is part of a resident’s own recovery. It gives the recovering addict a sense of self-worth and boosts their confidence. Typically, the House Parent isn’t compensated since this position is considered a part of the recovery process. However, TLC Residential – as agreed through a prior arrangement – has been gifting these volunteers with free rent and utilities. This is more than compensation for the position when living in San Francisco! It also has been the standard policy for the last 30 years at TLC Residential (as well as other sober living facilities)." District Manager Charlie explains, "it has been Frank's life’s work to ensure that recovering addicts have a chance to get back on their feet, I have known him for more than 30 years. TLC rates are the lowest in the industry, our facility are personally guaranteed by Frank, and all billing is paid on time so there’s never an interruption in services." 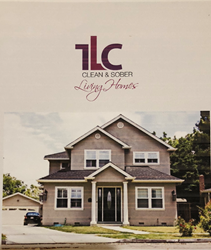 Court records shows that despite denying the Motion for Summary Judgement twice, it was TLC Residential's inability to secure timely legal representation that led to the default judgement of $2.6M to pass against TLC and Mr. Montero. TLC Residential has already filed for bankruptcy to prevent the Department of Labor from taking control of the business. Mr. Montero expressed his reluctance to the idea of having to close the doors of TLC Residential and causing measurable inconvenience to the recovery of current residents and potential residents. He added that he is currently examining every avenue to find a way to keep TLC’s recovery program intact and save residents from losing their home. He’s also hoping to continue gifting rent/utilities to House Parents while trying to save what’s left of his credit and reputation. According to Mr. Montero, there are very specific reasons the SAMHSA peer-to-peer addiction recovery model works and to tamper with this model would affect the recovery of every person who enters a sober living facility. Please write to the Department of Labor if you are concerned about this new medical precedent in sober living houses.